For flood insurance Florida residents can rely on when they need it most, they turn to Five Brothers Insurance. At Five Brothers Insurance, we have been providing the high quality flood insurance Florida residents deserve for over 28 years. Still family owned and operated, we will work closely with you to determine your exact coverage needs and find you a policy that exceeds your expectations while staying within your budget. At Five Brothers Insurance, we have the experience and industry knowledge to find you the optimal policy for your needs. 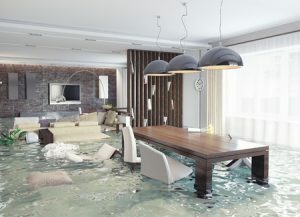 In the unfortunate event that your home or business suffers damage from a flood or other natural disaster, you need to ensure that you have the policies in place to guarantee that you will be able to fully recover from your losses. In Florida, the threat of flood damage is very real, and too many residents and business owners find out too late that their standard insurance policies don’t cover them in the event of a catastrophic flood. Others still falsely believe that federal disaster relief is all that they will need. While disaster relief is available, it comes in the form of a loan and is capped at limits that are far less than the value of many Florida homes and businesses. We gladly serve both personal and commercial insurance needs for those in Tampa, South Tampa, Apollo Beach, Gulfport, St. Pete Beach and the neighboring cities, so please contact us today for more details about our comprehensive policy offering or to receive a quote for the very best flood insurance Florida has to offer. Each of our clients becomes a member of the Five Brothers family, and we look forward to showing you the personalized service you deserve.